Keep up to date with the latest from the Demolition Services team. Demolition work has started on Northampton University’s Park Campus to prepare the site for a new housing development. The campus was home to local, national and worldwide students for 25 years, before it was relocated to the new £330m Waterside Campus on the Avon Nunn Mills site alongside the River Nene as part of the University’s bid to secure its future as a leading higher education institution. Demolition Services Group will be taking down more than 35 buildings, including the Pitchley Building and John Clare Hall, although the current Student Residences which house over 800 students will remain in place. 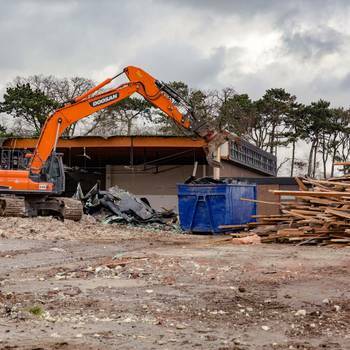 After asbestos removal and stripping out work has taken place, the demolition work will be carried out using a combination of 30 and 40 ton excavators with low noise and vibration levels. The resulting aggregate materials will then be recycled, with the concrete crushed on site and re-used to level the area and leave it clean and uncontaminated. The demolition work, which is expected to take a year to complete, is paving the way for the Persimmon Homes Scholars Green development of more than 675 two, three, four and five bedroomed homes, including social housing. This is expected to create more jobs locally, during both the demolition and construction phases, as well as enabling more first time buyers to get on the property ladder. Simon McDonald, regional managing director for Persimmon Homes Midlands, added: “Scholars Green represents a major redevelopment project for Northampton, breathing new life into this part of the town.